Cyndie will be coming home from the hospital today! All the small rugs have been removed from the floors and I’ve cleaned away unnecessary clutter in preparation for her return. I’m heading to the hospital early and hope to have her home by noon. She’ll need to negotiate three steps to get into the house, but then she should have minimal hazards for life on our main floor. I haven’t been able to eliminate all hazards. For instance, Delilah will be so excited to see Cyndie that she will want to jump all over her. I will be happy to have her home, but not quite as excited as Delilah. I had a couple of days of free sailing with Cyndie receiving full-time care at the hospital. With her home, I become the person responsible for her care, in addition to my other duties maintaining our property and tending to the animals. Luckily, I will have some occasional support from Cyndie’s mom and maybe even a home-healthcare nurse who can check on how the incision is healing. Any amount of time I can safely be out of the house will now be spent constructing a couple of slow feeder boxes. 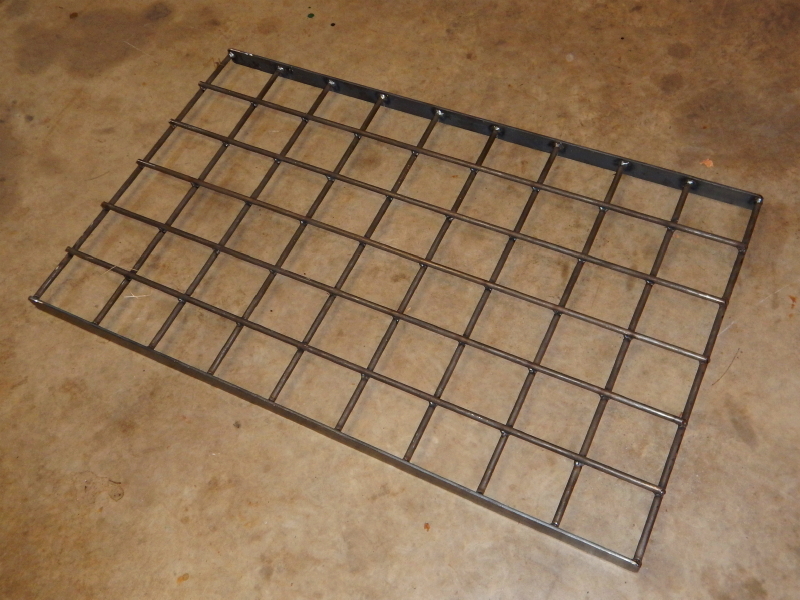 Yesterday, I picked up the grates from “my welder.” They look just like what I was hoping to get. They should, since they were custom-built to my specifications. At the rate the horses have been dumping hay all over the ground around the present feeders, I feel a strong urge to get these boxes built as quickly as possible. I sure hope my plan to scrounge enough wood for two boxes will work out. For all those times I have saved leftover lumber at the end of a project, it would be nice to finally experience some justification for the practice, and actually find a productive use for it.